Since its founding in 2005, Therrien Waddell Construction, Inc., (TW) has lived its mission statement, Building Partners for Life. The real partnership, however, took root in the 1970s, when company principals, Jerry Therrien and Donnie Waddell, first met. “I had been in the construction business for a few years, and here is this guy fresh out of college on the construction site that impressed me with his work ethic,” recalls Waddell. That young guy was Jerry Therrien, who proved to be a quick learner. He and Waddell developed a mutual respect for each other from the ground up, moving earth and building structures together. Based in Montgomery County, MD, TW also provides construction management, design-build solutions, and pre-construction planning, focusing on shopping centers, data centers, public sector properties, sustainable construction, commercial office buildings, and healthcare and institutional facilities. Examples of their work include Travilah Square Shopping Center, Porche-Audi Dealership, National Wesleyan Church, CSAAC Headquarters, Trader Joe’s, Goddard School, Family Healthcare, and Stamford Overlook Office Building. “The formation of our own firm was a natural path to the next phase in our evolution. Together, we had learned the value of viewing the project from different perspectives. We learned the right way to treat people and think strategically,” says Waddell. The partners then recruited trusted and experienced people from the industry with whom they had history. Today, many of those people are still part of the family business Therrien and Waddell created. TW treats employees like family. Along with a competitive salary and generous benefits, TW supports its employees through recognition, tuition reimbursement, an incentive program, health club sponsorship, company outings and celebrations. TW also gives back to the community by sponsoring a number of organizations, such as the JDRF Cars for the Cure to end diabetes; Leadership Montgomery volunteer programs; Montgomery Coalition for the Homeless; Nourish Now and Manna; Flags for Heroes; MdBio Foundation for STEM careers. Therrien also serves as a board member of ABC Metro Washington, Gaithersburg-Germantown Chamber of Commerce, and Sandy Spring Museum. 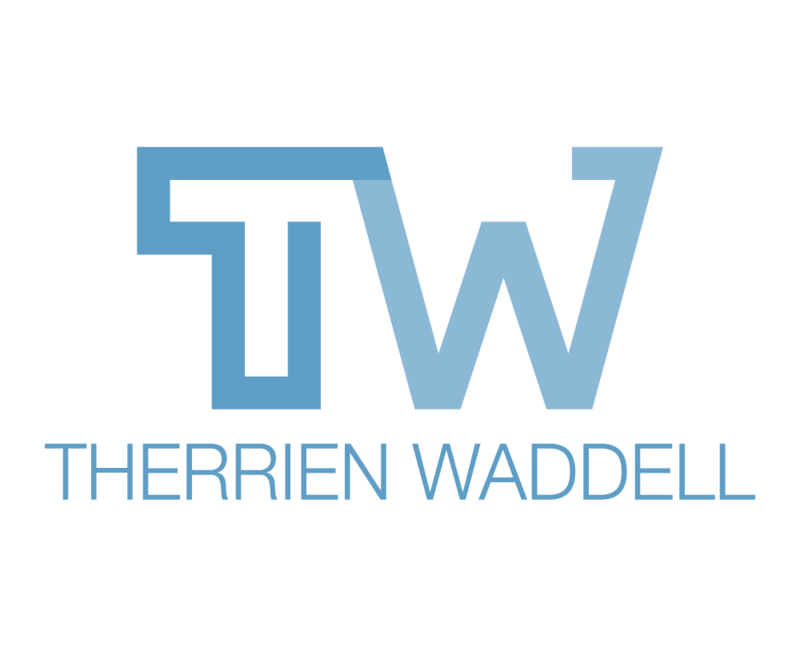 Since its founding in 2005, Therrien Waddell Construction, Inc., (TW) has lived its mission statement, Building Partners for Life. The real partnership, however, took root in the 1970s, when company principals Jerry Therrien and Donnie Waddell first met. Based in Gaithersburg, TW also provides construction management, design-build solutions and pre-construction planning, focusing on shopping centers, data centers, public sector builds, sustainable construction, commercial office buildings, and healthcare and institutional facilities. Recent projects include Dr. Boyd’s Pet Resort & Veterinary Clinic, National Wesleyan Church, Family Healthcare and MAD Fitness. “The formation of our own firm was a natural path to the next phase in our evolution. Together, we had learned the value of viewing the project from different perspectives. We learned the right way to treat people and to execute plans,” says Waddell. TW treats employees like family. Along with a competitive salary and generous benefits, TW supports its employees through tuition reimbursement, an incentive program, health club sponsorship and company outings and parties. TW also gives back to the community by sponsoring events, such as the Cars for the Cure annual drive to end diabetes; Volunteers for Leadership Montgomery Holiday Distribution Party; and Montgomery Coalition for the Homeless – Supporting Homeless Veterans. Therrien also serves as a board member of ABC Metro Washington, Gaithersburg-Germantown Chamber of Commerce and Sand Spring Museum Board of Directors.